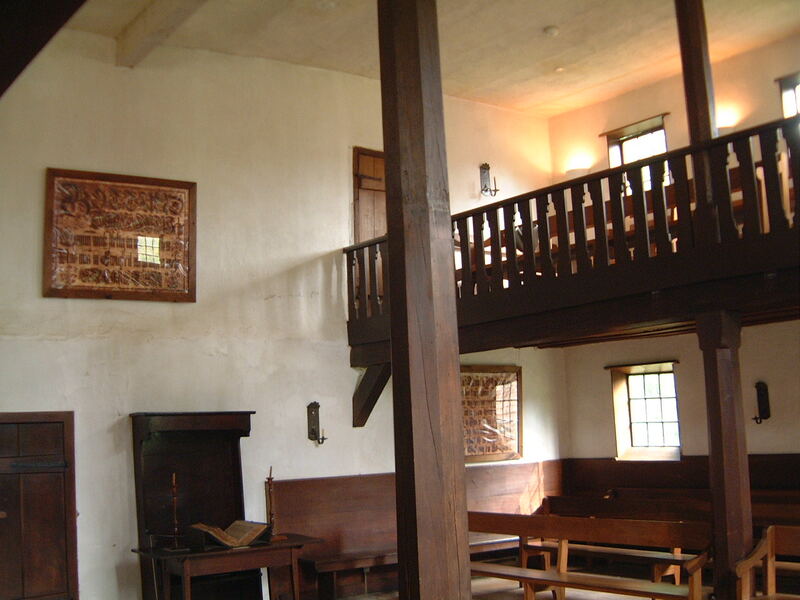 Ephrata Cloister, one of America’s earliest religious communities, was founded by Johann Conrad Beissel. He was born in Eberbach am Neckar, Germany, in March 1691 at the close of a century of religious wars that devastated Europe and was an orphan by the time he was 8. As a young man he learned the baker’s trade. During his travels he encountered and joined a movement called Pietism that aimed to reform the state-supported Protestant churches. Pietists, who met in small, unsanctioned groups to study the Bible and pray, were persecuted by the established church. Banished from Germany in 1715, Beissel immigrated to Pennsylvania in 1720, drawn by William Penn’s offer of freedom of conscience to those who settled in his colony. Beissel spent a year in Germantown, just outside Philadelphia, before moving to the Conestoga area, where he was appointed leader of the newly formed Conestoga Brethren Church in 1724. His radical views of Saturday worship and celibacy soon caused a split in the congregation. He withdrew from the church in 1728 and in 1732 moved from the Conestoga area to Cocalico Creek in northern Lancaster County to seek the life of a hermit. Beissel’s charismatic personality attracted like-minded men and women to his teachings, however, which led him to establish Ephrata, which means Camp of the Solitary. Originally a small hermitage, it quickly grew into a thriving community. Between 1735 and 1746 the members built eight major European-style dormitories and meetinghouses and a number of smaller dwellings, workshops, and mills. 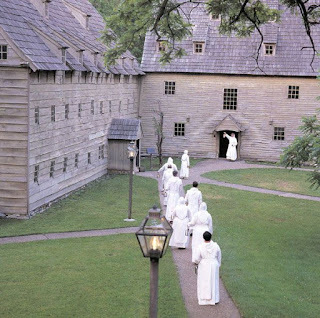 A married order of families who accepted Beissel’s spiritual leadership lived among the celibate members as well, worshiping with them on the Sabbath and working with them during the week, which enabled the Cloister to become self-sustaining. At its height in the 1740s and 1750s the Ephrata community extended over 250 acres and numbered around 80 celibate men and women, with approximately 200 more composing the married congregation. Besides religious activities, members carried out the typical tasks of a community, farmed and gardened, did carpentry work, made paper, manufactured clothing in a mill, taught children in a German school, and ran a printing press. 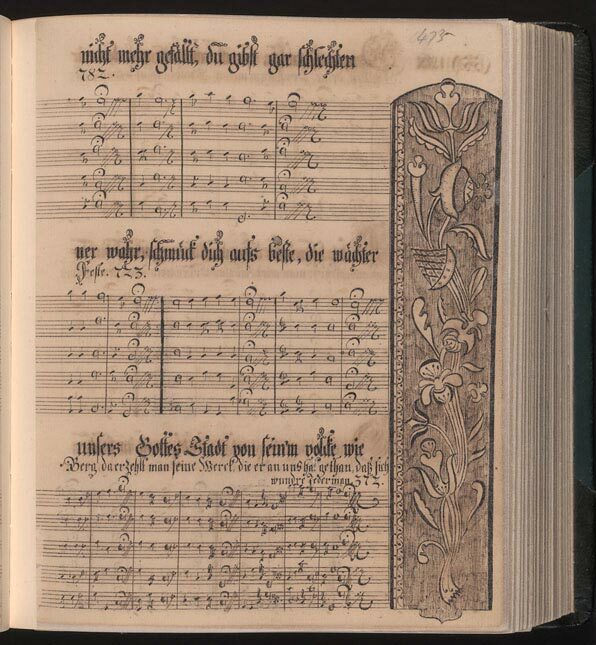 The Cloister became well-known for its a cappella music, much of which was composed by the members; German-style calligraphy known as Frakturschriften; and a publishing center that included a paper mill, printing press, and book bindery. Ephrata owned the second German printing press in the American colonies and published hymns and books written by Beissel and others. Beissel served not only as the community’s spiritual leader, but also as its leading composer and devised his own system of composition. 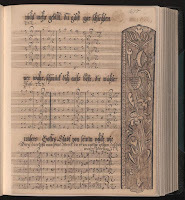 The Ephrata hymnal was printed in 1747. At the request of a group of Mennonites, Ephrata also published the Martyrs Mirror, a history of the deaths of Christian martyrs from the time of Christ until 1660. Beissel’s theology mixed pietism and mysticism with an emphasis on celibacy; worship on the Saturday Sabbath; Anabaptism; and strict discipline. Celibate Sisters lived in a convent (the Sister House) and Brothers in a monastery (the Brother House). Their beds were narrow wooden benches, with wooden blocks for pillows, and they slept only from 9 p.m. to midnight. Then they took a two-hour break to watch for Christ’s coming, after which they slept again from 2 until 5 a.m. Members partook of one small meal of vegetables a day, only eating meat during communion, when lamb was served. The members of the cloister spent most of their time at work, praying privately, and attending Saturday worship led by Beissel, which often lasted several hours. The community faced dissention at various times, with its greatest crisis coming from Israel Eckerlin, prior of the brotherhood, who challenged Beissel’s leadership. The controversy came to a head in 1745, with Eckerlin being expelled. Ephrata declined rapidly after Beissel’s death in 1768. By 1813 the last of the celibate members died, and the following year the remaining members of the married congregation formed the German Seventh Day Baptist Church. Poorer members moved into some of the original buildings on Cloister property and remodeled them to suit their needs. In many cases the original 18th-century furniture was given a coat of paint, cut down to fit a space, or repaired with disregard to original construction methods or materials. In 1929 the remaining church members living at the Cloister were involved in a lawsuit over disagreements about the disposition of the site and its artifacts. As a result, the charter of the Church at Ephrata was revoked in 1934. A court appointed receiver took charge of the property and in 1941 sold the remaining 28 acres to the Commonwealth of Pennsylvania. Restoration of the nine surviving original buildings was begun immediately under the direction of architect G. Edwin Brumbaugh. When he left the project in 1960, the restoration was completed by architect John Heyl. The last surviving member of Ephrata Cloister, Marie Kachel Bucher, died on July 27, 2008, at the age of 98. Excavations on the site have revealed that, among other things, the Cloister was used as a hospital during the Revolutionary War. Also, in 1998 archaeologists unearthed the only glass trumpet of its kind in North America. The instrument, which is believed to have come from Germany, was found in excellent condition, which led archaeologists to conclude that it was intentionally buried. The only part missing was the mouthpiece, and it isn’t known whether the trumpet was ever played. 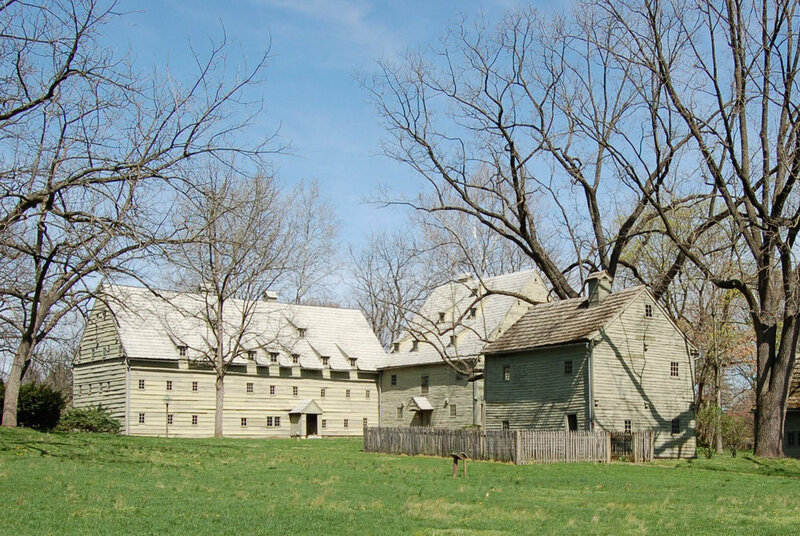 Today Ephrata Cloister is a National Historic Landmark administered by the Pennsylvania Historical and Museum Commission and is open for tours, special programs, and research. 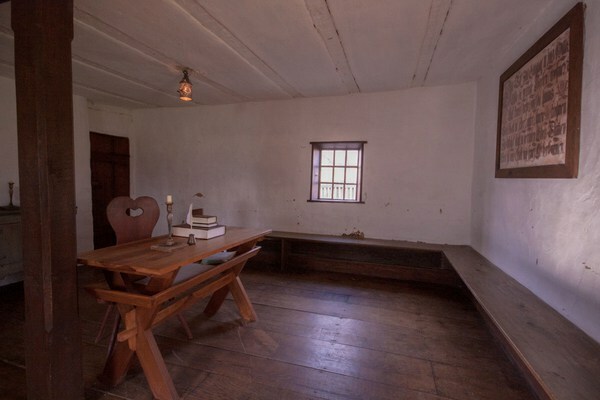 Ephrata Cloister maintains a rich collection of original artifacts including furniture, books, manuscripts, baskets, and ceramics. With the exception of paper items, most artifacts are on exhibit in the buildings. To learn more go to Ephrata Cloister’s official website. This is another historical site that I’d love to visit one day. Is there a historical period, event, or person that you’re especially drawn to? Or do you own an item from an earlier time that has given that period in history a special meaning for you? If so, please share with our readers! Why haven't I ever heard of this? It sounds similar to the Amamnas in Iowa.Joan, that "Martyr's Mirror" I had read about many times in the fiction books about the Amish. So, I wanted to know what it was. I requested it from the library. I was so shocked at how thick it was. I didn't read it all but what I did was something. There was even a part about your Jacob in it. Bev, it does sound somewhat similar to the Amana colonies! I hadn't thought of that. It seems like a forerunner to the groups like the Shakers and some of the utopian communities that grew up too. Yes, The Martyr's Mirror is a very thick tome! I've never read it and I didn't know our Jacob's story was included in it. I'll have to look it up! Thanks for stopping by! You're welcome. I always enjoy reading what you post since it usually has something to do with the 1700's. Jacob is mentioned in the section "Stories We Tell Our Children". I Googled it to see where it was. The Amish are an interesting group indeed. My parents were raised Amish, but had joined the Mennonites by the time I came along. But I have tons of Amish relatives and enjoy visiting with them. Thanks for stopping by and commenting! I want to apologize profusely to the 4 ladies who commented first on this post and through my misunderstanding had their comments removed by the admin. I assumed the comments had posted here through some glitch because they all related to the Civil War, and that they were supposed to go on Jennifer's post from the previous day. Since none of them referred to the subject of this post or mentioned my name, it didn't occur to me that you ladies were answering my question. *head slap* My thanks to Debbie Lynne for following up with each of you to confirm that indeed you did mean to comment here--and they were all very interesting. I appreciate your feedback very much, not to mention your patience with my befuddlement! lol! No problem, J.M. The Civil War period is one of my favorite periods to read and study. Primarily because of Abraham Lincoln history connected with the area I'm in. I've enjoyed reading historical posts like this one and others going back when there was truly separation from all others as in the Ephrata Cloister and historica Quakers community. Thank you for sharing. Apologize accepted and easy to be misunderstood with the previous post and us readers referring to the Civil War era based on the one of the questions. Blessings.